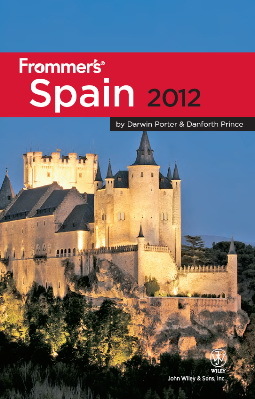 This book has almost everything for planning a trip around Spain, its includes and of nice pictures, maps, and Prices. you can even select an accommodation within your budget, you will know all details before stepping in Spain. At the outset, the book discusses "the best of" Spain, including small towns, vineyards, museums, and restaurants. A second chapter provides more detail on Spain and what to do while there. Chapter 3 is a series of itineraries. Then, in depth views of various areas within the country--Madrid, Andalusia, Barcelona, the Basque Country, and so on among the chapters. For each area explored, the reader will learn where to stay, where to eat, getting around, and places to see and so on. To provide an example. . . . Madrid. The chapter begins with a discussion of transportation, the layout of the city, important neighborhoods. I will be using the Madrid Metro, and there is a nice map of the system (forewarned is forearmed). Then, discussions of places to see, such as The Prado, the Royal Palace, cathedrals, art galleries, and so on. In short, a nice--albeit not lengthy--summary of suggested places to go and to see. The last two sections? One focuses on planning for the trip to Spain. The final segment of the book is the always helpful listing of terms and phrases.